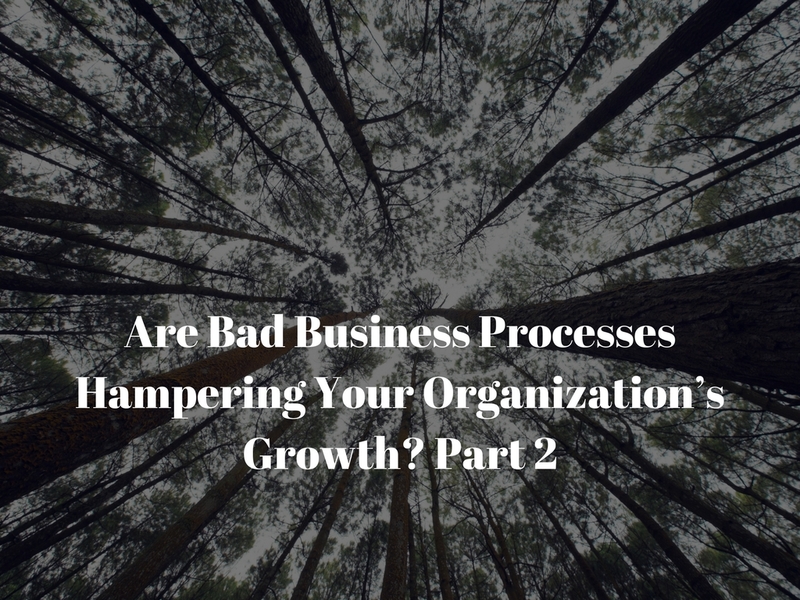 Earlier this month, we discovered some of the many ways bad processes can hold your business back from reaching its goals—and how to catch the signs that a process needs to be improved. This time, let’s unpack what a good process looks like and how to improve your existing processes. It has a point. If there is no real purpose to an activity in terms of furthering the organization’s goals, it may be better to outsource or even eliminate the activity rather than try to improve the way it’s performed. It gets the job done. A process must be effective and serve its intended purpose. It reduces or eliminates waste. That means no redundancy, no unnecessary steps, and no needless back and forth. It cultivates buy-in. A process must have high usability and those using it must be willing to follow the process. Processes that are easy to understand and follow and that promote good work performance are less likely to meet with resistance. It can be monitored and its effects can be measured. Accountability and quality assurance should be built into the process. Define what the process is supposed to accomplish. Define how the process is currently done (map out the steps or elements). Identify why it isn’t working (seek out the bottlenecks, redundant activities, and areas where errors are most likely to be introduced). Consider alternate ways of accomplishing the task or provide more resources to overcome bottlenecks. Remove unnecessary or redundant steps. Add quality control monitoring to steps that are error-prone and to the process as a whole. Automate some or all steps in the process using appropriate technology. Communicate changes to all those who will be using the process. Review the process on a regular basis to continually improve it. Input and feedback from those in your organization who are using the current processes is essential for success when you start making improvements. Leverage their knowledge to help you understand all the elements of the process, the areas of greatest frustration, and creative ways to solve these problems. You can get more details on process improvement with this excellent article at MindTools. What Role Should Technology and Automation Play in Process Improvement? Sadly, automating a poorly designed process is NOT an improvement. In the same way, throwing technology at the problem will not solve it. You must go through the steps to fully understand the shortcomings of your current process before you try to apply a high-tech solution. (Laserfiche has an article on business process automation here that makes that point well). As a quick example, if your organization has a challenge with properly handling customer inquiries due to lack of adequate training for customer service personnel, installing an online chat application on your website won’t fix the issue. It just gives customers a new way to reach your company and have a frustrating experience. On the other hand, let’s say the bottleneck in increasing customer satisfaction is due to delays in shipping or errors in order fulfilment. In this situation, automating the transfer of data from your sales portal to your backend order processing and logistics systems would make a lot of sense to reduce these problems. You have a process that’s common across your industry and there are out-of- the-box solutions for it. There is very little variance in how the process is accomplished—human judgement calls and intervention are rarely, if ever, required. The process requires input from many different people, making virtualization and automation of the workflow an obvious choice for moving things along faster. Your process involves multiple databases or “silos” of information and systems that aren’t currently integrated. Your competitors are using out-of- date processes and you have the opportunity to outpace them by automating your own processes with custom applications. Do you suspect that custom web and software development might be the secret to solving your business process woes? Contact our team at Web Revelation for a consultation. We specialize in using technology to make your business faster, more efficient, and more profitable.